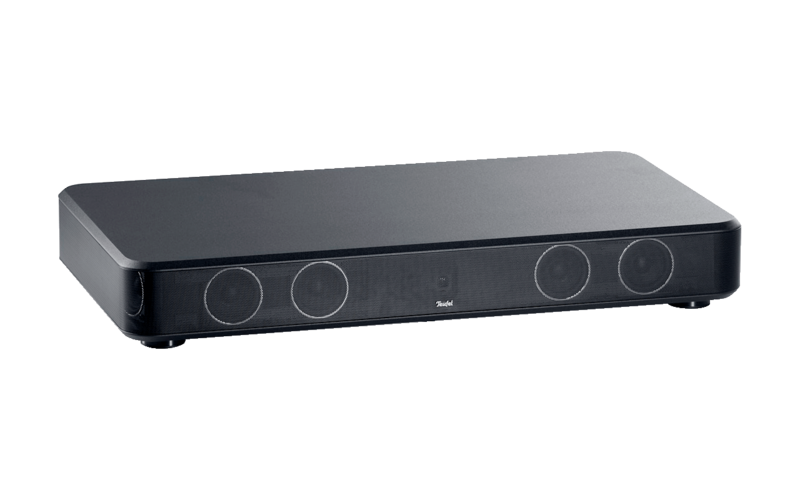 The Teufel Cinebase is a soundbar with an excellent quality and a respective design. This investment easily triples the cinema experience at home, because it provides a clear surround sound and rich basses without a separate subwoofer. Thanks to Bluetooth, the sounddeck also is the new companion of smart phone and tablet. All in all, the Cinebase features an excellent manufacturing, an extremely easy installation and operation, pre-defined set-ups and a voluminous sound.